Building a gratified iTunes library, which contains our favourite albums, videos, podcasts, audiobooks and more, takes vast time and energy. 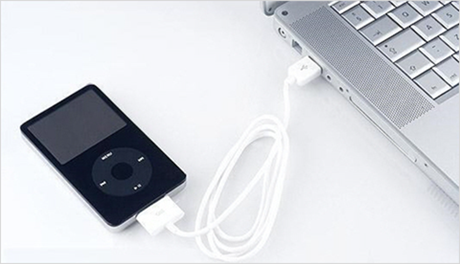 Thus, many users would like to take along the iTunes library when switch to another computer, although moving iTunes library to new computer can be quite complicated. If you are also faced with this problem, just read this post and you will acquire three effective methods to transfer iTunes library to another computer. Using an external hard drive to migrate iTunes library to new computer is the first choice for most people, because it doesn’t require Internet connection. Update your iTunes backup to ensure the library contains all the contents you want. Connect the external hard drive to the old computer. Consolidate and locate your iTunes library, and then move it to external hard drive. Disconnect your external hard drive and then plug it to the new computer. Locate the “Music” or “My Music” folder on new compute. Copy the iTunes file folder from external hard drive to “Music”/”My Music” on new computer. 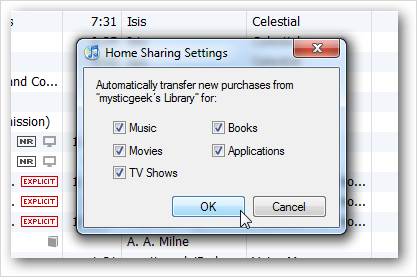 The Home Sharing option in iTunes allows users to move iTunes library to a new computer that connected to the same network with the old one. Note: Please note that this method doesn’t created a permanent backup on your old computer. Launch iTunes on both of your computers and update it to the latest version. Click “File” > “Home Sharing” > “Turn on Home Sharing” on the old computer. Then type your Apple ID and password in the pop-up window. Go to the iTunes on new computer. Click “Account” > “Authorizations”, and choose “Authorize This Computer”. Enter the same Apple ID and password in next window. Turn on “Home Sharing” on new computer and select the type of data you want to transfer. Then click “OK” to import iTunes library to the new computer. Tips: Migration Assistant from Apple Inc. is another good alternative for you if you want to transfer iTunes library to a Mac. Transferring iTunes Library from Mac to Mac or from PC to Mac are both supported. Plug an iPod to the old computer with a USB cable. Find the iTunes library file and drag it to iPod. Disconnect the iPod and plug it to the new computer. 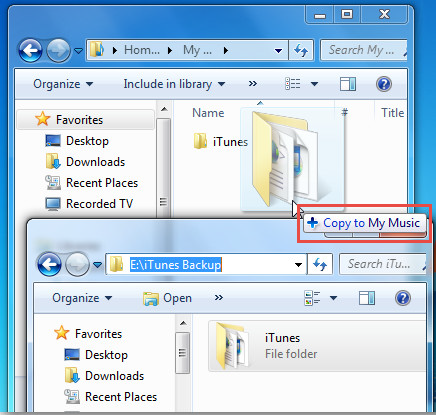 Copy iTunes file folder to the “Music” or “My Music” folder to move iTunes library to the new computer.